When a Category 1 hurricane swept her parish, American City & County's County Leader of the Year Natalie Robottom reacted quickly and decisively. Shortly after Hurricane Isaac struck St. John the Baptist Parish in 2012, Mark Riley was sent by the Louisiana state emergency management agency to help Parish President Natalie Robottom bring order to a community inundated by water from Lake Pontchartrain. When he entered the command center, Robottom was “reading the riot act” to other parish presidents whom she believed were changing the direction of water discharges to the detriment of her parish. For her outstanding leadership in meeting the crisis during Hurricane Isaac and spurring the recovery in the nearly two years since, American City & County has selected Parish President Robottom as its 2014 County Leader of the Year. When notified on Sunday, Aug. 26, 2012, that Hurricane Isaac was approaching, government leaders began preparing for a Category 1 hurricane, a storm measured by 100-mile-per-hour wind speeds that would not normally cause a great deal of damage in a Gulf state accustomed to winds of 150 mph and greater. But Isaac was different in two respects. It covered a vast territory, and it was slow moving, lingering over the area and dumping huge amounts of water. And since the storm formed in the Gulf rather than the Caribbean, the community only had 52 hours’ notice to prepare – less than half the normal 120-hour lead time for most hurricanes. Community leaders needed to decide quickly whether to try to evacuate residents in advance — and risk having them caught in their cars on clogged highways during the storm — or wait in place until the storm passed. They decided to make the evacuation decision voluntary. Robottom’s team arranged for additional power to the Southeast Louisiana War Veterans home, because hundreds of bedridden patients could not be moved. When the storm hit, the damage was much worse than expected. Located about halfway between New Orleans to the south and Baton Rouge to the north, St. John Parish was devastated when Isaac’s storm track pushed a tidal surge of eight to 10 feet of brackish water from Lake Pontchartrain over its banks. During the worst of the storm and its aftermath, 95 percent of parish households were without power, while LaPlace residents went without water and sewer for four days due to a decision made early on to protect an important well from serious damage. Within hours, parish roads were submerged; homes, cars and businesses were drenched; and access to portions of primary evacuation routes, Interstate 10 and Interstate 55, were cut off. With rising floodwaters, the St. John Sheriff’s Office, the Fire Department, Louisiana National Guard, Louisiana Department of Wildlife and Fisheries, U.S. Coast Guard and volunteers assisted in search-and rescue efforts. The Army National Guard brought in 15 National Guard boats, along with high-water vehicles and specially trained soldiers to conduct the rescues. Four-person teams searched for survivors, rescuing more than 2,400 people, along with hundreds of pets, from the flooding on the first night alone. Though the waters quickly receded from homes, leaders were left with an enormous rescue and recovery job. According to a parish study, 7,190 of the community’s 15,965 households reported some type of storm damage, and more than 400 businesses reported physical or financial damage. Hardest hit cities were LaPlace and Reserve. Fortunately, there was no loss of life. Despite being surprised by the damage from a Category 1 storm, the parish quickly activated its emergency preparedness plan. 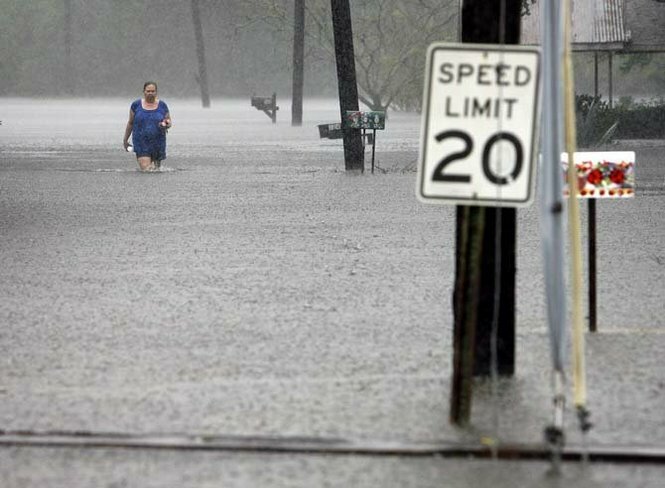 More than 6,000 residents and 200 pets were evacuated from dozens of neighborhoods, and over 3,000 residents were moved to locations that had been previously identified in northern Louisiana. Of immediate concern, the parish urgently needed to bring back online the potable water and sewer systems. Just as serious, residents hit by the storm were looking for food and shelter, as well as resources to clean out their homes and make repairs. Robottom and her staff had identified New Wine Christian Fellowship as a sort of one-stop shop for community resources, says Bernard, who Robottom also appointed as chairman of the Long-Term Recovery Group. Nearly 4,000 people were evacuated and brought safely to the fellowship facility. When the waters receded, the hard work of recovery began. Riley was especially complimentary of Robottom’s decision to embrace the National Disaster Recovery Framework, the first of its kind under a federal emergency recovery program. As part of the process, the parish produced a 98-page Community Recovery Plan, which mapped out in detail the needs of the community and outlined an action plan to meet the specifications. As a result of this and other initiatives, nearly $91 million in state and federal disaster assistance was approved for business owners as well as $26 million from the federal government for housing recovery. Robottom encouraged the Long Term Recovery Group to hold a series of public hearings to solicit comments on residents’ top priorities in rebuilding the parish. Bernard believes Robottom made a smart decision to bring the faith-based community into the reconstruction process. He says these groups were especially useful in managing the thousands of volunteers who came to help the parish recover, but who could have been a burden if they weren’t properly organized. At one time, 1,500 volunteers were housed at Bernard’s fellowship. Today, leaders say St. John the Baptist is about 90 percent back to its pre-flood condition, although a number of houses, especially those without flood insurance, remain to be repaired. The Long-Term Recovery Group has been essential in helping to reduce the number of these homes. The city has also attempted to facilitate a quicker recovery by expediting the permitting process, waiving fees, and even bringing in inspectors from other parishes to reduce wait times. 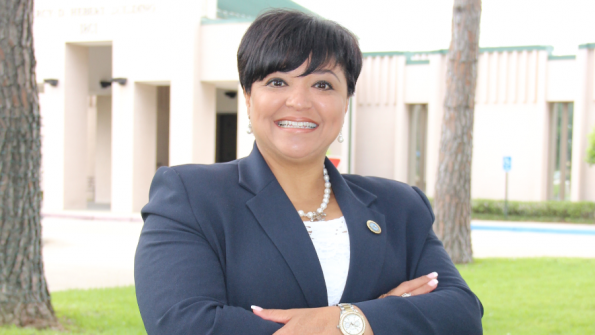 Robottom believes that the decisions she made and has continued to make are a result of the experience she gained prior to coming to office as both the first female and first African American parish president in May 2010, in a special election to replace her predecessor who resigned under indictment. After a career as a speech therapist, she served as the parish’s chief administrative officer from 2004 to 2007, before serving in the Louisiana governor’s administration as liaison to local governments. When her predecessor was indicted, she ran and won for the remainder of his term and then won election for a full four-year term in 2011. 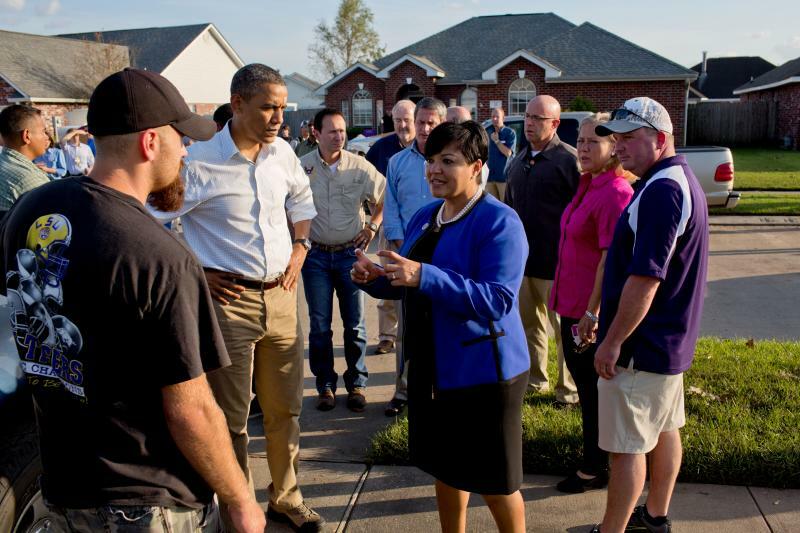 When she did assume elected office, Hurricane Isaac was a quick lesson in the art of political management. She says her focus was on rescuing people stranded by the high waters, restoring public utilities, removing debris and communicating messages of public assistance programs through radio, social media and even door-to-door campaigns. Robottom has tried to make the most of adversity by improving a number of areas of the parish that had infrastructure issues, even before the storm. A $30 million bond issue is being used to address drainage and other road improvements, and the parish is upgrading its emergency management facilities. Robottom, who says she plans to run for re-election in 2015, would like to expand the training opportunities for residents to assume jobs at the Port of South Louisiana, which, she says, is an economic development engine because of oil and gas shipping through the Gulf region. She would also like to improve the fishing and hunting accessibility on Lake Pontchartrain and provide swimming lessons for children in some communities where they are fearful of water. Currently, Robottom is the Guild First Vice-President for the Urban League of Greater New Orleans, Vice-President of the Black Caucus of the Police Jury Association of Louisiana, an executive board member of the New Orleans Leadership Institute, a member of the South Central Planning and Development Commission and serves as a board member of Greater New Orleans, Inc., the River Region Caucus, the Regional Economic Development Initiative, the Regional Planning Commission, the National Association of County Officials, and Parishes Against Coastal Erosion (PACE). Robottom was honored with a Patriot Award by the Louisiana Committee for Employer Support of the Guard and Reserve. She was also recognized as a trail blazer by the National Coalition of 100 Black Women at its 13th Annual Torchbearers Awards.